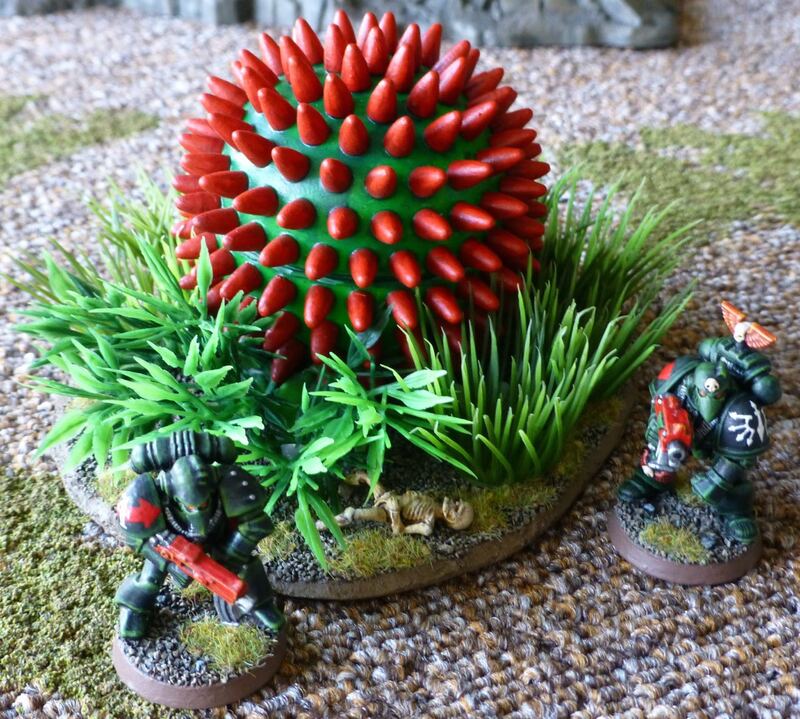 Everyone who’s played Warhammer 40k in the ’90s will remember the green death world cacti with the red spikes made out of styrofoam and toothpicks. I built a few of them myself back then, but unsurprisingly they didn’t survive the dawn of the new millennium. 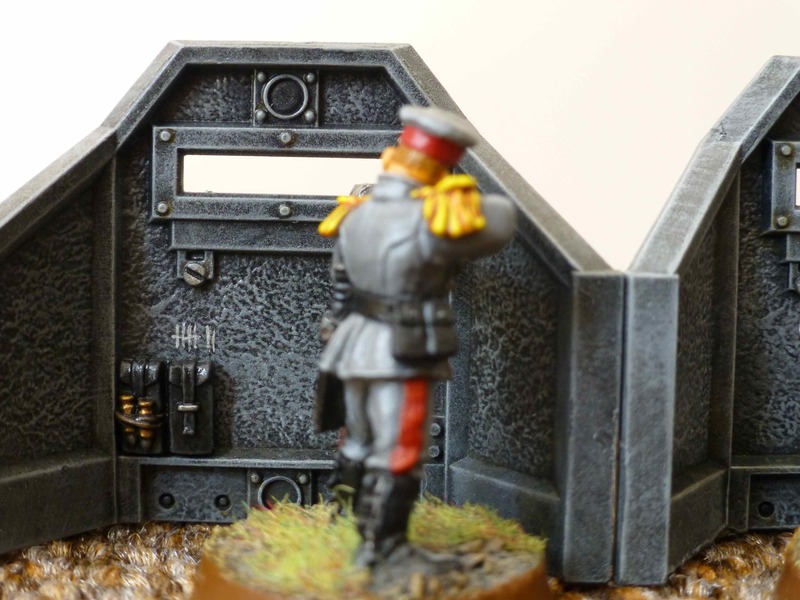 More recently Jonas over at the Oldhammer Forum put together a whole bunch of these which are looking great. 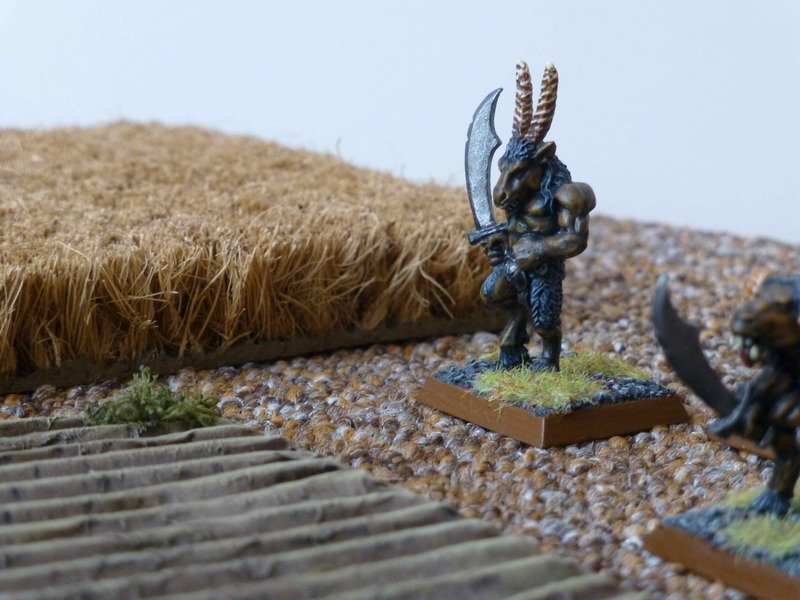 Inspired by Cheetor’s excellent Alien Flora & Fauna series I’ve been meaning to extend my own collection of terrifying terrain for a while now but most things haven’t progressed past initial assembly. During one of my hunts for source materials I came across an item that immediately jumped out at me as a modern version of the cacti of death though – a rubber massage ball from Tiger, available also in bright green. 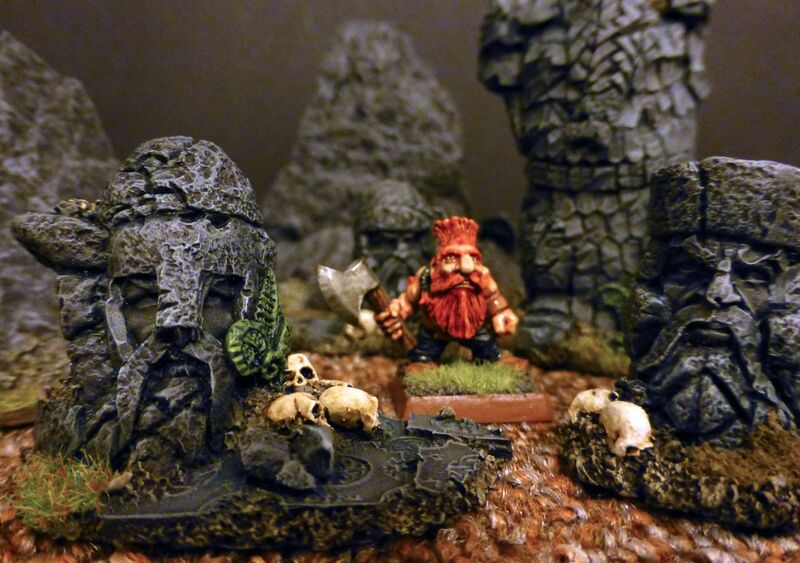 I bought a set of Dwarf stone sculptures from Scibor Miniatures recently as I intend to build up a small collection of themed terrain to go with each of my armies. 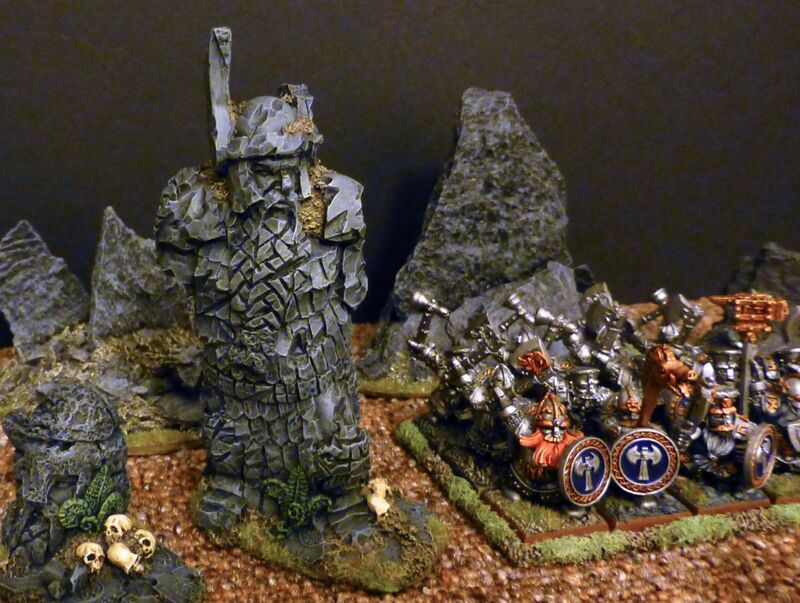 The statues, or rather what is left of them, match the classic Warhammer style of Dwarfs very well. 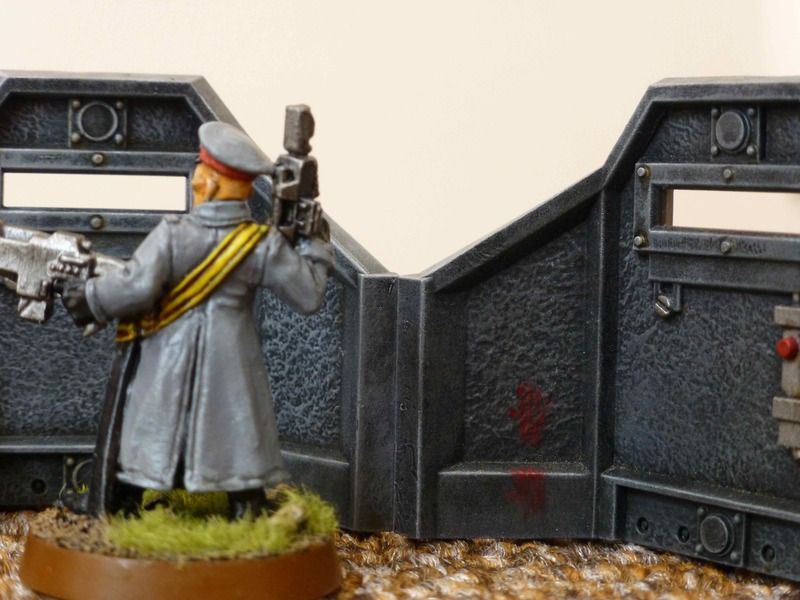 I took a simple approach to painting. 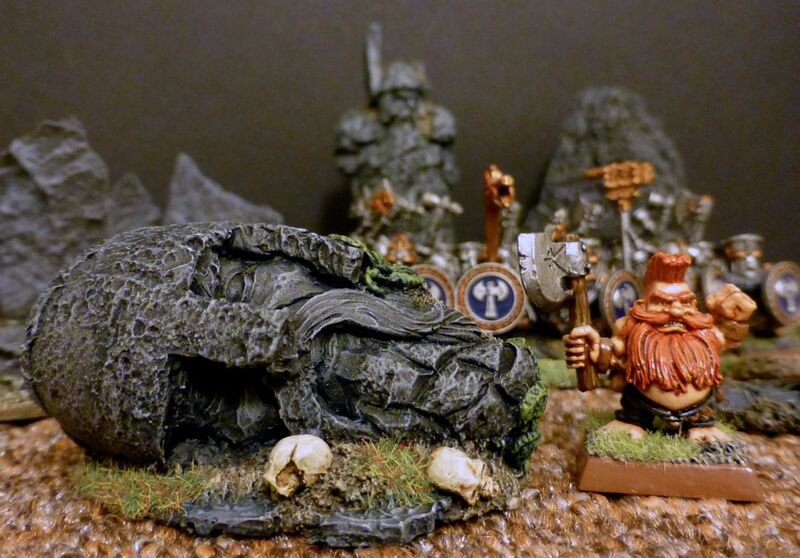 Undercoated black, I drybrushed three layers of grey on with a final highlight of pure white, matching the pre-painted rock formations by Gale Force 9 in my collection. 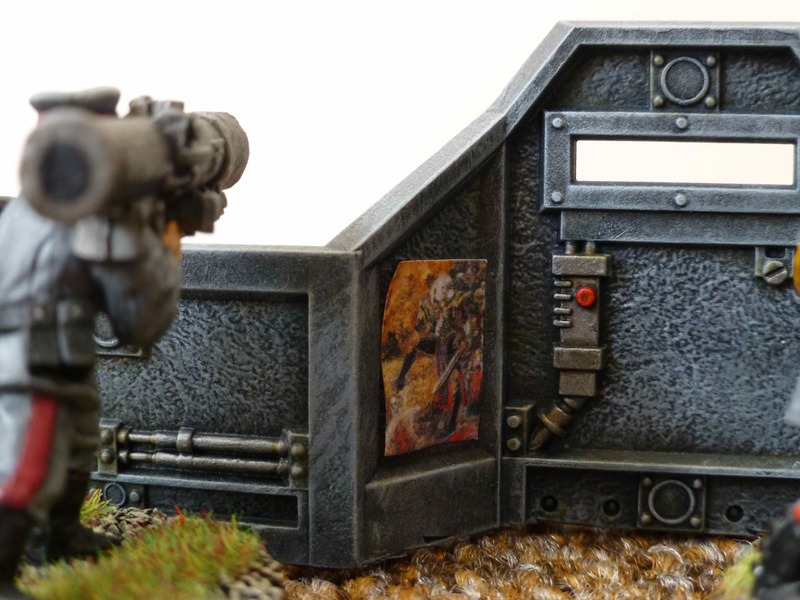 To finish the weathered stone effect I dabbed some dark green ink into some of the recesses. 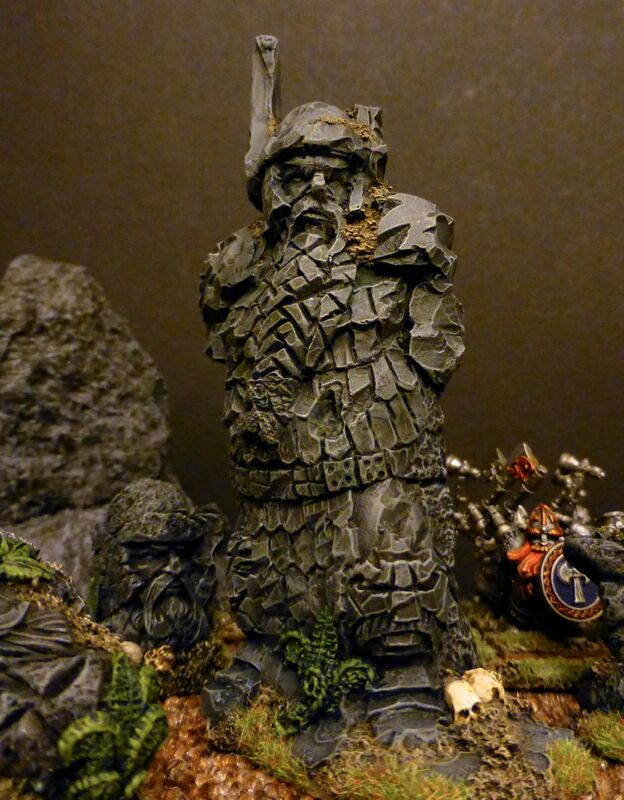 There is a liberal smattering of skulls and some vegetation on the bases of the fallen statues, which provide a nice counter point to the dark stone. 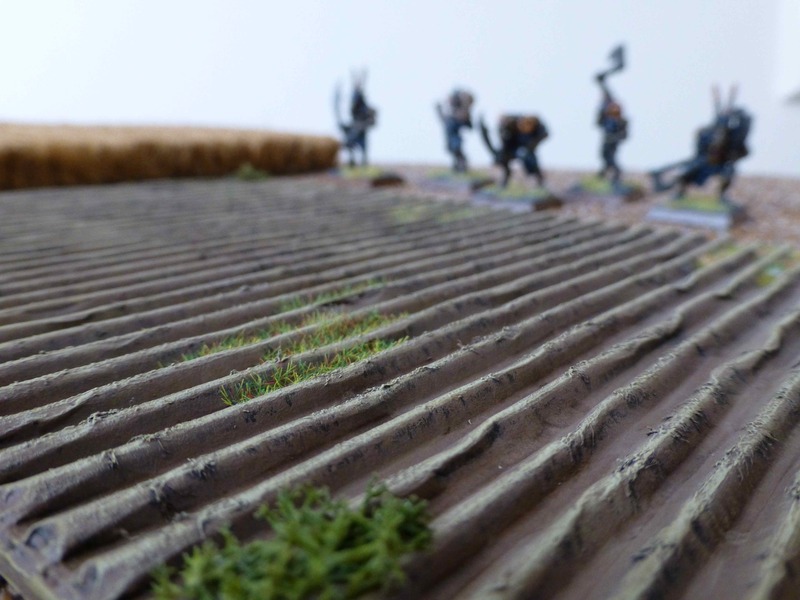 Some static grass and the usual brown finish I use on my miniatures’ bases tie the scenery in with the battlefield and armies fighting over it. 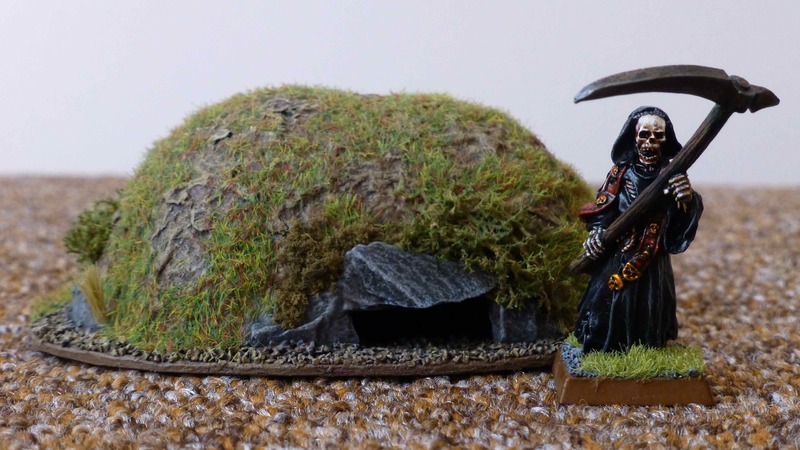 I finished the second burial mound and added a small themed vignette to the set. 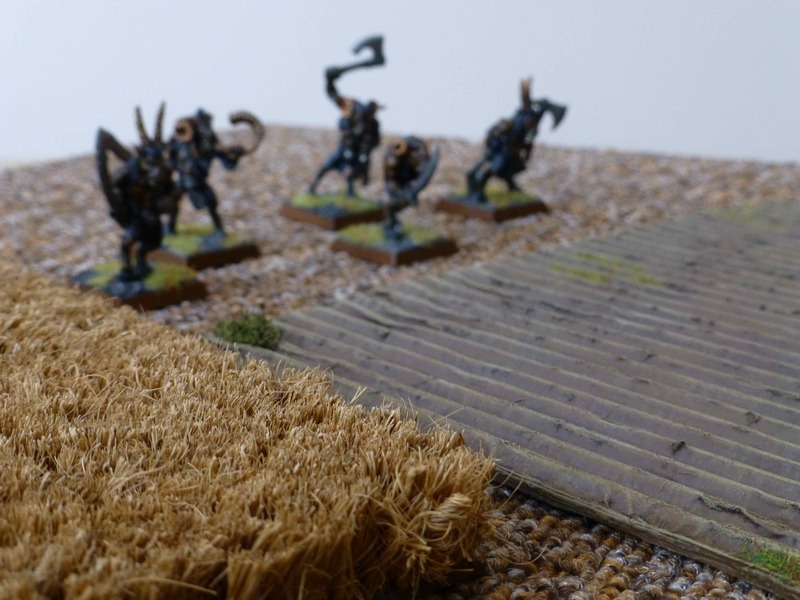 Looks like some adventurous robbers were caught by the barrows’ inhabitants and hastily made their getaway – or were dragged down into the gloom to their own graves. 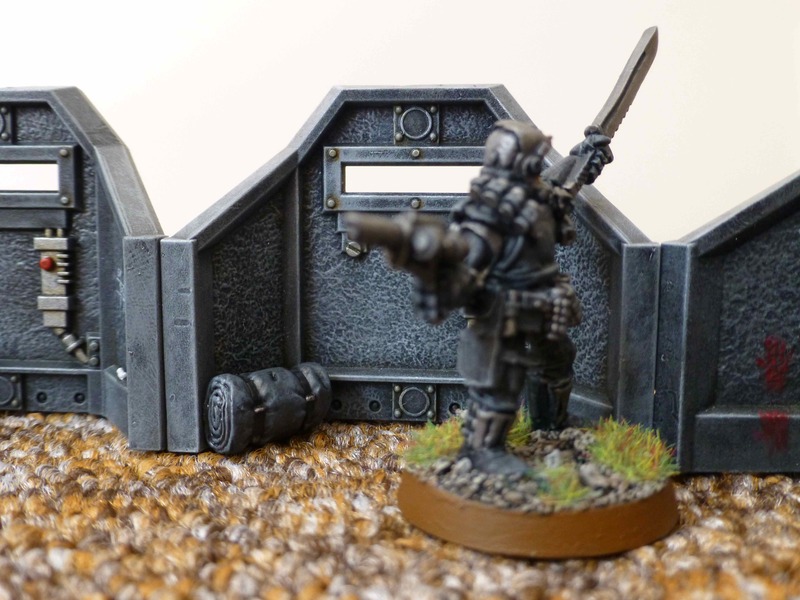 The wheelbarrow and sword are taken from one of Kev Adam’s Snorkling sets by Foundry Miniatures which I had in my bits box. 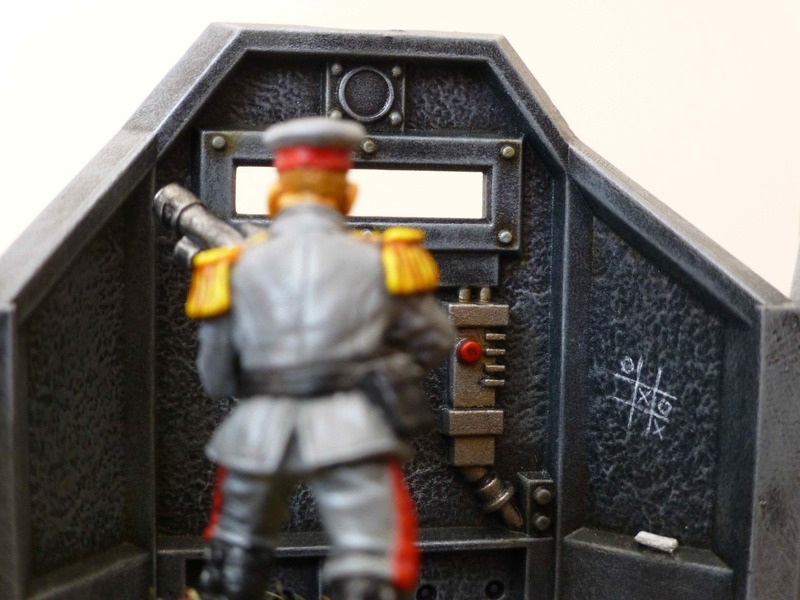 The helmet is from an old plastic Citadel Miniatures Skeleton Horseman. Inspiration can come from unexpected places. 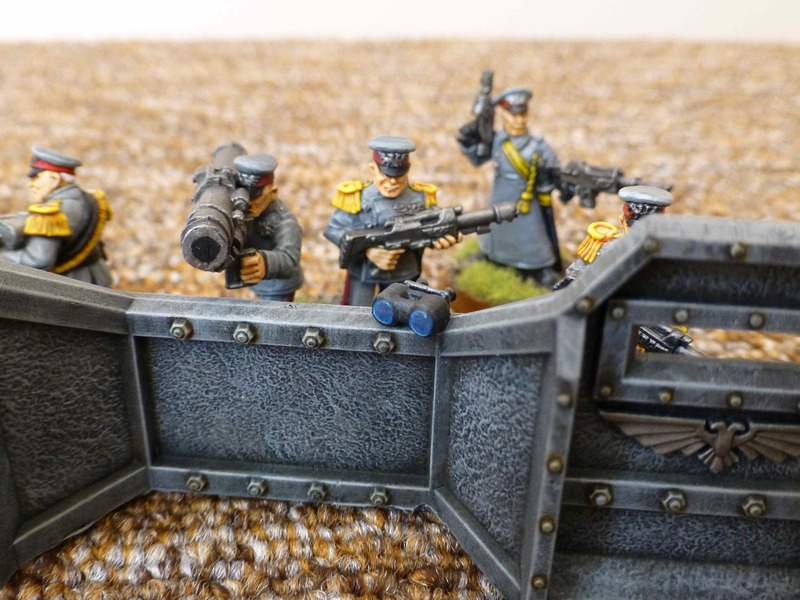 I haven’t created any scratch-built terrain in a long while, but when my girlfriend brought me a papier-mâché tray and asked whether I’d have any use for it (I know, she’s a treasure! 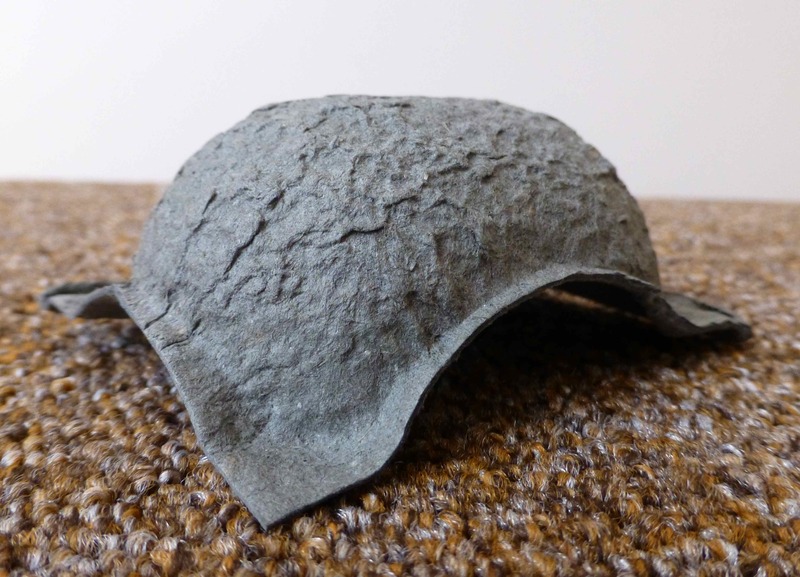 ), it struck me immediately – burial mounds. The tray made for four sections, two of which I started work on. 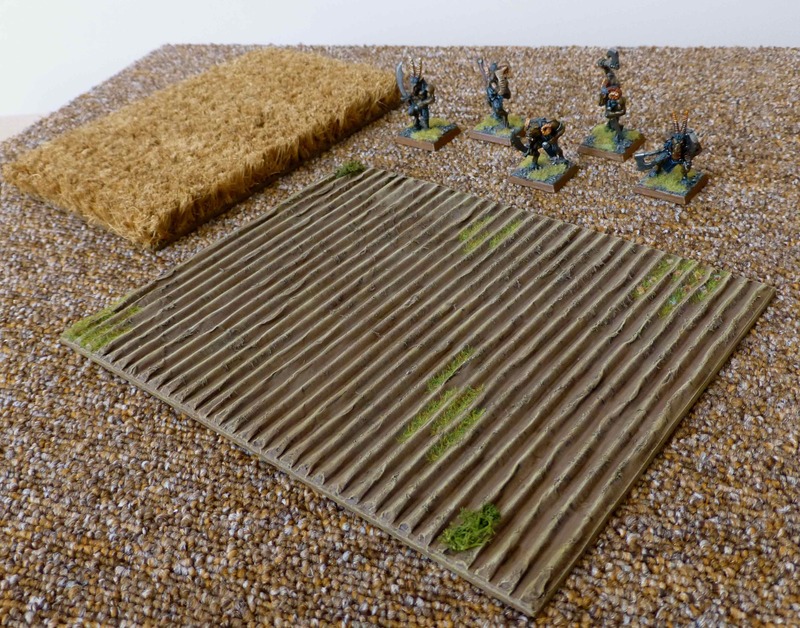 Not sure yet whether I’ll do four barrows in the end or use the second set for something else. 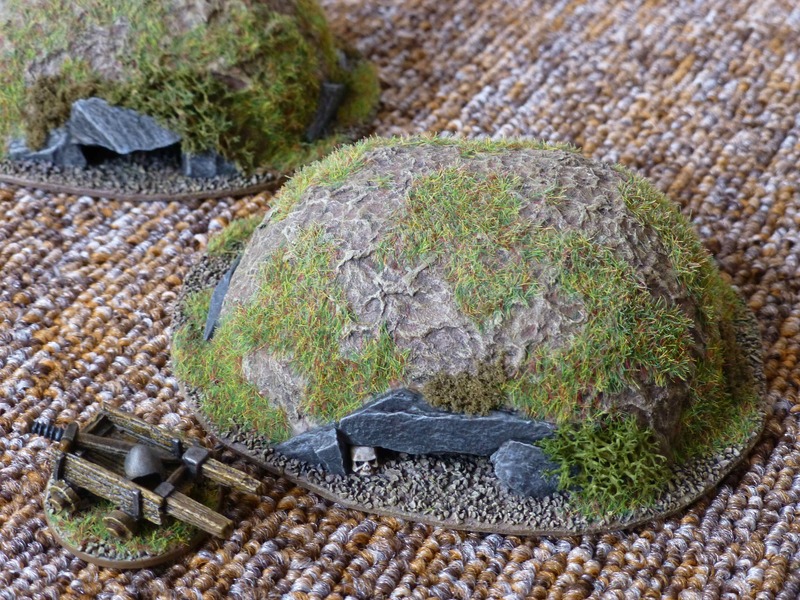 Maybe Goblin mud huts? 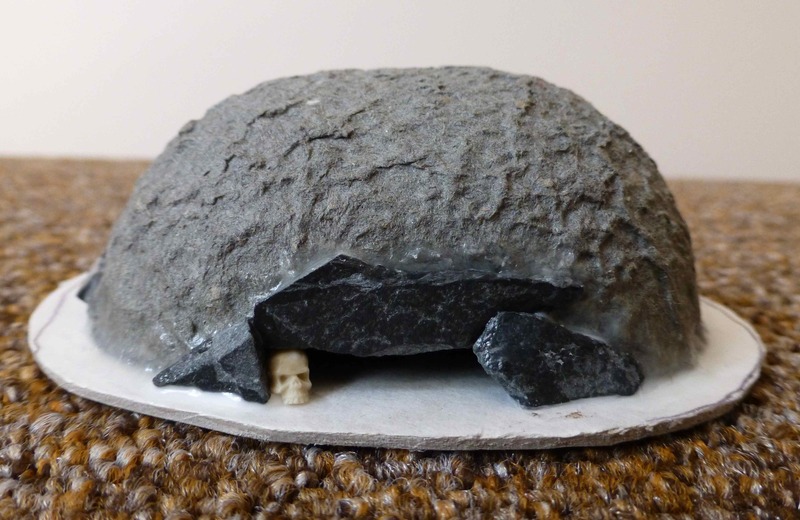 Work in progress on the second burial mound. The source material, quartered. In case you are wondering, it used to hold kiwis.